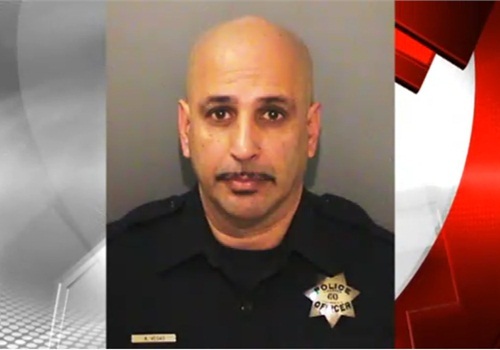 An off-duty Richmond, CA, police officer was shot and killed inside his home in Vallejo early Thursday morning while trying to stop a fight between family members, reports KRON. Officer Gus Vegas, 58, was attempting to stop a fight involving one of his adult children when the shooting occurred around 4:30 a.m., according to police. The suspect, Robert Vega, is the father of Vegas' 6-year-old grandson. After Vega, 30, allegedly shot and killed Vegas, he fled the home with the 6-year-old grandson. Vegas was found with multiple gunshot wounds and was pronounced dead at the scene. Police were able to locate the suspect and the child in Fairfield. Vega was arrested and the child was found unharmed.